Gianni Meersman who was set to move from the Etixx-Quick Step team to Fortuneo-Vital Concept for 2017, has decided to end his career with immediate effect. During a routine medical check-up, a cardiac arrhythmia and scar tissue were found in the 31-year-old Belgian rider. Additional tests have confirmed that they pose a serious danger to his health if he continues to exercise his sport at high level. This forced the double stage winner at the 2016 Vuelta to make a difficult and dramatic decision to stop his career immediately. Fortuneo manager Emmanuel Hubert is shocked to have lost one of his leaders. 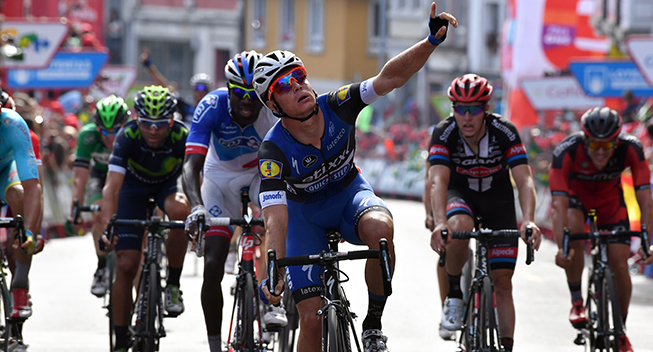 Meersman achieved his biggest successes a few months ago when he won the second and fifth stage at the Vuelta. He has also won stages in Paris-Nice, the Tour de Romandie and the Volta a Catalunya.